After a long, strenuous run there’s nothing more refreshing than or as delightful as a cool, relaxing shower. We return home sweating, sore, and gasping for breath, only to be rejuvenated by the pleasant sensation of water. Perhaps it’s due to this fact, the fact that showers are so enjoyable, that we do not even think of any other potential benefits. It may come as a surprise to you, but showering after a run does not just encompass relaxation and comfort. In fact, depending on how you shower, the health of your very own body can be affected in multiple beneficial ways. How can a shower after a run affect your health? How should you shower after running? It’s actually quite impressive just how many advantages there are to showering after a run. Here’s a few examples to prove it. Bacteria and fungi. Two classes of living things that we generally associate with illness and disease. In a lot of cases, rightly so. After a grueling run, it’s only normal to work up a good sweat. While the sweat is a product of a very healthy exercise routine, it can have ill side effects. The sweat that accumulates upon the surface of your skin serves as a breeding ground for bacteria and fungi that can cause all manners of issues. Increased body odour, breakouts of acne, and skin diseases such as the notorious yeast infection are just some examples. For this precise reason, it is highly recommended to shower after a run. By cleaning yourself of the unwanted sweat, you’ll be preventing the arrival of uninvited bacteria and fungi. Sweat plays several vital roles when it comes to the well-being of our bodies. It maintains our body’s core temperature, removes excessive cholesterol and salts, and even carries the ability to prevent pimples and skin blemishes. Yet amongst all these benefits is another negative. This may prove to be quite surprising for many, but sweat inhibits the body’s ability to guard itself against UV rays. As we know, UV rays from the sun can be quite detrimental for our skin. One of their more well-known side effects is sunburns. Fortunately, this is nothing a shower cannot fix. By removing any build-ups of sweat, a shower can restore your skin’s ability to protect itself against UV rays, and thus prevent their harmful effects. A very common remedy for sore muscles and aches that is often employed by professional athletes is ice baths. This technique is immensely effective at quickening the recovery of bruised muscles and at providing relief to muscles in pain. Ice baths are also especially great for curing delayed onset muscle soreness (DOMS). However, as an ordinary person who only partakes in morning runs instead of top-tier athletic tournaments, packets of ice may not be readily available to you on a daily basis. That’s not to say there isn’t an alternative to ice baths that you can make use of in order to treat any aches or pains you gain from running. 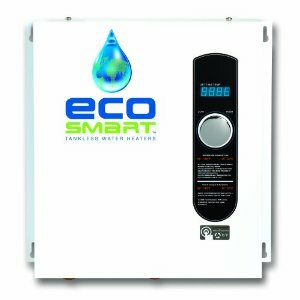 Simply turn your shower onto its coldest setting and douse yourself in cold water. Make sure ample amounts reach the parts of your body that are experiencing the most pain. Understandably, the cold doesn’t suit everyone, but the results a cold shower bears when it comes to treating sore muscles is definitive. Alright, so by now it has been made quite clear to us that showers after running are highly beneficial. However, when it comes to actually showering, the process is not as straightforward as you may presume. In order to acquire the complete benefits of showers after a run, there are some steps you must take. Despite the multiple advantages of showering after a run, there is one vital note you must keep in mind. When you return from your run, do not immediately enter the shower. A cool shower may seem appealing at the time upon which you return home, hot and sweating, but it can have a detrimental effect on your health. A cool shower can trigger a sudden drop in your heart rate and body temperature. This is in no circumstance ideal, as it can increase the chances of a heart attack or even a stroke. The best thing to do upon completing a run is to engage in exercises that cool you down, but in a gradual manner. Such exercises will bring about a steady decrease of your heart rate and body temperature, up until they both resume their normal states. It typically takes around 20 minutes of a cooling down routine for this to occur. Once it has, then it is perfectly safe for you to step into your shower cabinet. As we mentioned above, there are numerous benefits to washing yourself with cold water. Other benefits include the prevention of inflammation and the removal of lactic acids from the skin. Starting off with cold water is helpful as it prevents all the pain you feel immediately after a vigorous run. 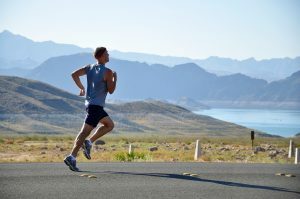 During the run, you most likely would have injured yourself in some form. Perhaps you bruised your knee, cramped a muscle, or are now suffering from aches and sores. Regardless of the cause of injury, your body’s immediate reaction is to treat it. Sometimes, treating an injury can be quite painful, which is why cold water is so useful. The cold water stalls the recovery process of your body, allowing you to enjoy a pain-free period. There is also one last benefit to showering with cold water that can only be acquired through finishing off with hot water. A very common problem for regular runners is stiffness in the muscles and joints. It appears to be an inevitable result of running and seems to be unavoidable. That’s not entirely true. By alternating between cold water and hot water, you can prevent the amount of stiffness you experience after a run. You’ll also find that your body’s sense of mobility will recover. 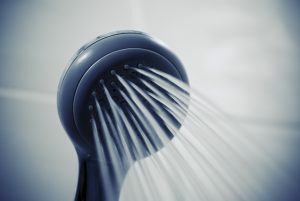 You will also need the best shower head to ensure the cold and hot water have an impact. One important point to note, however, is that hot water is not particularly helpful in treating injuries. In such a case, it is best to avoid hot water and keep to cold water.